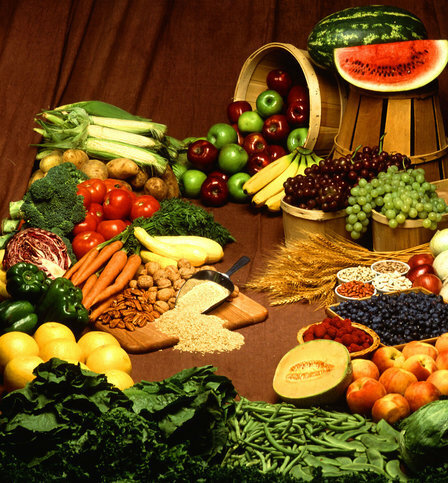 Healthy eating keeps you fit and prevents obesity and other health problems. When we say healthy eating habits, it does not mean that you must stop your craving for food and tasting different flavors of the food, and eat only bland and cooked food without any spices or flavorings. You can have what food you like, but remember to take food in limited quantities. This makes your eating habit healthy and at the same allows you to taste various mouthwatering meals. This is a very healthy dish and very easy to make. You need sprouted beans to make this dish. Just cover beans with a moist cloth and leave it overnight, and the next day you will get sprouted beans. These are full of essential nutrients good for the body. You can add mushrooms, broccoli, cabbage, celery, red and green capsicum, onions and any other ingredient of your choice to the bean sprouts and mix them. For seasoning you can add olive oil, lemon, green chillies, garlic, red chilli flakes etc. Toss them all together and have as salad with meals or use it as a side dish. Burrito is a Mexican dish that consists of wheat flour tortilla, which is folded in a cylindrical shape with fillings inside. In this recipe we are discussing about burritos in which egg white is used instead of full egg to make the salsa stuffing. You may also use sprouted salad for the stuffing and have it with salsa. Cooking it in microwave or oven greatly reduce the use of oil, making it even healthier. You can use parmesan cheese for flavoring. Mulligatawny is nothing but pepper water. Here rice is cooked with freshly ground pepper and chicken breast, along with ginger, garlic and herbs, which provide the dish a strong flavor. Adding curry powder and coconut milk make it all the more tasty, without increasing the calories. Bake muffins by adding blueberries, apricots, raisins and cranberries. These also make healthy and nutritious meal and are an excellent substitute when you have no time to make a real meal. You can store this for about 2 weeks or deep freeze it for one month. When you take it out from the freezer, warm it and then have it. Take brown bread or any other bread that is low in fat and place sliced vegetables in-between. Use olive oil, spices and herbs for dressing. This makes a healthy meal that you can have any time of the day. You may eat it as it is in the raw form or bake it and then have it. This is a delicious meal that is also very nutritious. Here you cook eggs with potatoes, mushroom, shallots and different vegetables that would like to have. The meal is cooked in an oven and you can have it with brown bread or roasted beans. Since it is made by baking the ingredients in an oven, very little oil is used in the preparation. You can also use herbs like oregano and roasted vegetables to increase the nutrition value. Egg is a good source of minerals, proteins and vitamins. Potatoes are good sources of carbohydrates and vegetable are also very nutritious. Kidney beans are rich in protein and very good for the health. You can make a variety of dishes with kidney beans. Here is a healthy ay to make kidney beans. Boil kidney beans and white chick peas and mash them together. Add lettuce, cucumber and sweet corn to it. You can also add herbs like mint, celery and coriander leaves as well as spices, so that the dish is made tastier. Bake this in an oven. You may also add parmesan cheese on top and then bake. Have it as it is or have it with rice. In either way it is good to taste and provides a lot of essential nutrients. Oatmeal, as you know, are good for your health. Make pancake by mixing blueberry and buttermilk to oatmeal. This is easy to make and is also easily digestible. The pancake thus made is very nutritious and healthy. Consuming these pancakes fills your stomach fast and if you add some honey to it, the taste is even better. Remember not to consume too much of these pancakes because of its delicious taste. Adding nuts to the pancake enhances its flavor and also makes it more healthy. Lentils are very nutritious and are rich sources of proteins, dietary fibers and also starch. Consuming it any way is good for your health. Cook lentils and make it with thick gravy and have it with any bread you would prefer. Very little oil and spices are used in this dish. So you need not worry about calorie intake. Lentils and seasonal vegetables used in the dish are good for your health. You may use only one type of lentil or mix a number of lentils of your choice to make the dish. This will add to the flavor of the dish. If you love eating potatoes but cannot have it very often due its high carbohydrate content, you can try making this dish. Cook potatoes with buttermilk, spinach and whipped cream. This will give you a healthy and creamy dish, which is low in calorie. This dish resembles very much a Thai dish due to the spices added to it. It has good flavor and is very tasty, and at the same time it is very healthy too. you may have it without any worry of putting on weight. So, try some of these easy to make dishes at home and see how they improve your health. Hi Nikitha! Do you have a favourite Chicken Mulligatawny recipe that you use? This sounds both nutritious and tasty!